An engineering firm commissioned by the Millennium Tower homeowners to evaluate the cracked 36th floor window suggested in a report Friday that the tower’s tilting troubles may be to blame for the sudden failure, but said any final determination must await visual assessment on the outside of the 58-story building. Jean Elle reports. An engineering firm commissioned by the Millennium Tower homeowners to evaluate the cracked 36th floor window suggested in a report Friday that the tower’s tilting troubles may be to blame for the sudden failure, but said any final determination must await visual assessment on the outside of the 58-story building. Because the tower’s maintenance platform is out of order, a drone will be deployed Saturday morning to get the first close up exterior view of the window. Then, to secure the failed window from the outside, someone will have to repel down from the top of the building. NBC Bay Area’s Investigative Unit was first to report about the sudden failure of the window over Labor Day weekend. In response, the city Department of Building Inspection issued a citation and ordered owners to assess the situation by Friday. The city later ordered beefed-up barriers on the sidewalk below to better protect pedestrians from the potential of falling glass. The head of the homeowners association was quick to suggest that the problem is an isolated issue, possibly a construction defect. 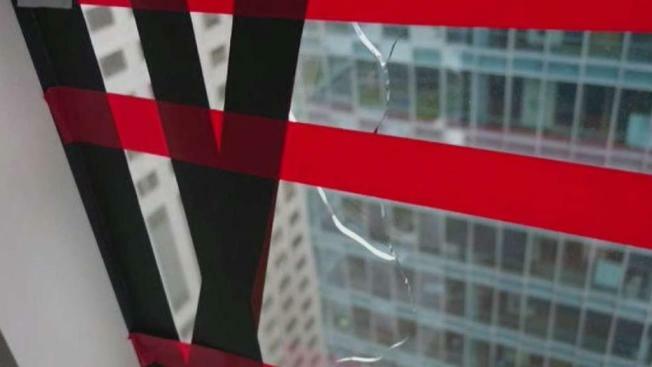 We're getting our first look at the cracked window in San Francisco's sinking and tilting Millennium Tower that has a lot of residents worried. They are worried because it raises more concerns about stability of the high-rise that's now leaning 18 inches. When Investigative Reporter Jaxon Van Derbeken first broke this story on Tuesday, residents inside the tower did not want to talk. On Wednesday, several residents talked with him to discuss their concerns. But the report back to the city by an engineer with Allana Buick and Bers suggested tilting might be the cause. But the engineer also said that a key to understanding the cause is the exterior measurements of the building’s façade, known as its curtain wall, near where the window failed. “In order to perform an evaluation as to why the glass has cracked, a hands-on exterior examination is required to measure the curtain wall frames and see why the lite was stressed,” said Karim Allana, a principal with the Palo Alto-based firm. “The existing curtain wall system is designed to allow for building deflection due to wind loads and seismic forces, without causing glass failure,” Allana added in a letter to the homeowners association attorney. That final determination could take several weeks, according to Tom Miller, attorney for the homeowners association. He says it may also take as long to get a replacement window since the one that cracked is no longer made. 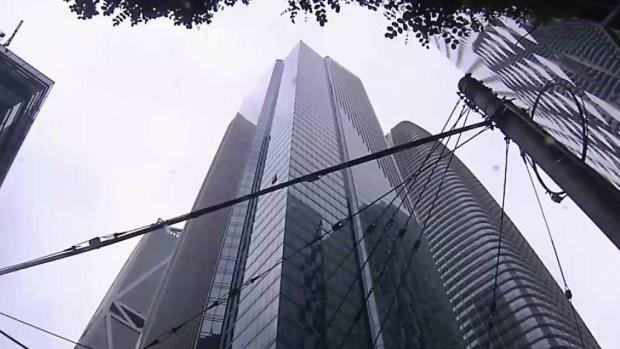 A large crack formed in a window at the sinking and tilting Millennium Tower over the Labor Day weekend, prompting officials there to block off part of the sidewalk on Mission Street as a precaution, NBC Bay Area’s Investigative Unit has learned. Investigative Reporter Jaxon Van Derbeken reports. He said the hope is that the fractured window – which is encased in silicone -- will be secured once and for all by early next week.